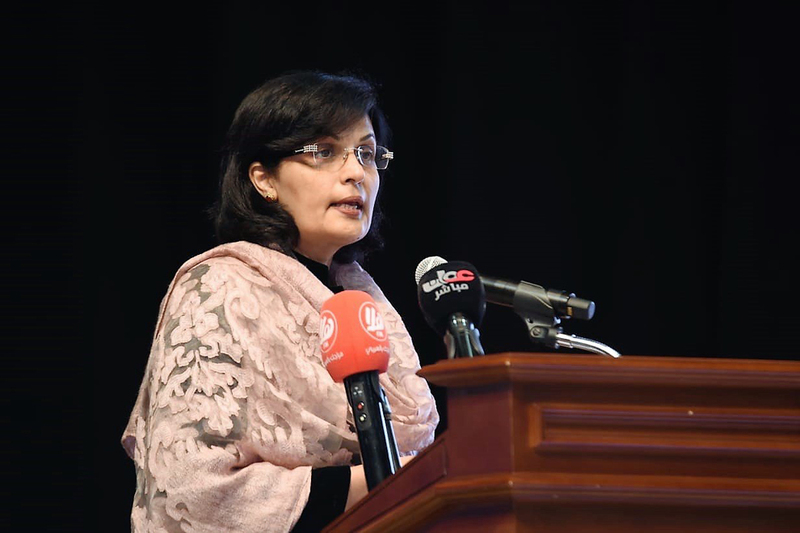 September 3, 2018: Dr Sania Nishtar gave the keynote speech at the opening ceremony of the ministerial meeting on Universal Health Coverage for the Eastern Mediterranean region in Salalah, Oman on September 3. She talked about the importance of integrating non-communicable diseases into universal health coverage plans and emphasized that it would be a tragic missed opportunity if countries failed to address the world’s leading killers whilst they planned to cover their populations for health. 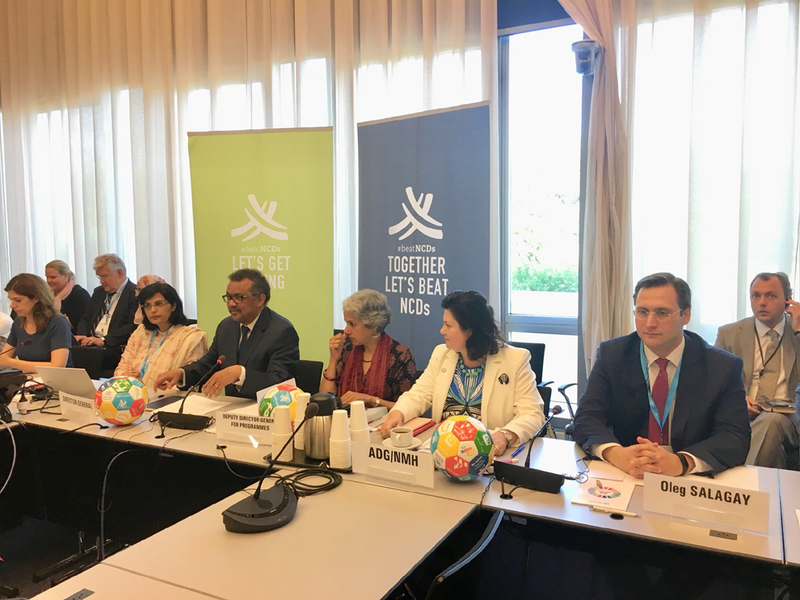 August 23, 2018: Dr Sania Nishtar chaired the second face to face meeting of the high level commission on NCDs in Geneva where plans for the second phase of the commission’s work were drawn up. These will be posted online shortly for public consultation. July 25, 2018: The World Health Organization hosted a meeting on NCDs in Moscow from July 23-25. The meeting was hosted by the Ministry of Health of Russia and its objective was to review plans underway in preparation for the 3rd High Level Summit on NCDs on September 27, 2018. 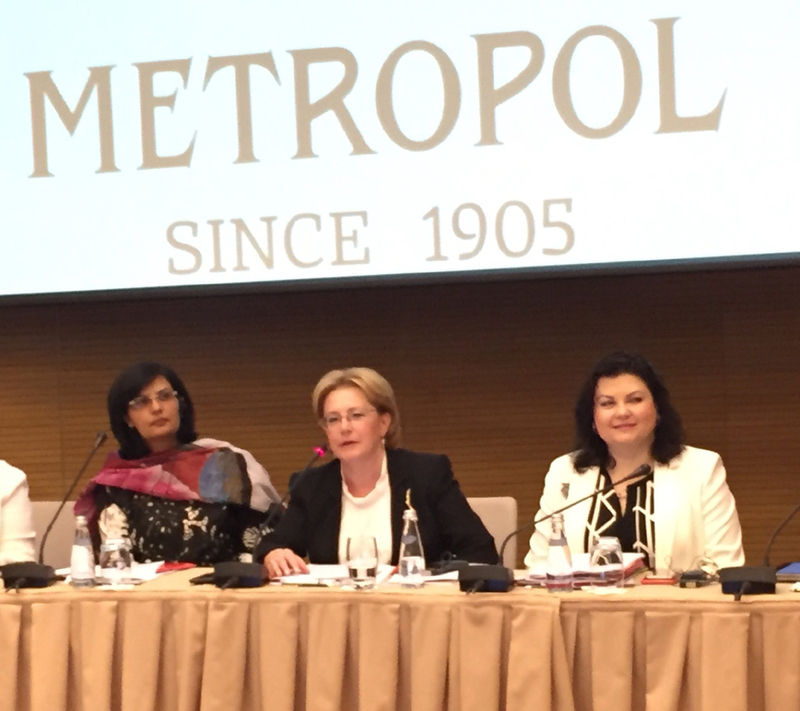 Co-chairs of the high-level commission on NCDS Dr. Veronica Skortsova, Minister of health of Russia and Dr. Sania Nishtar met with the WHO NCDs directors to explore how to exploit synergy in relation to the work of the Commission.